"A young man he is not. A young beekeeper whom the bees have taught many lessons he is. He is a successful (meaning the bees are paying for themselves with a little $ left over) 1st generation beekeeper. Honey bees found him when they swarmed into a box in his backyard about 16 years ago. He could not find anyone to take the bees or remove them for a reasonable cost so he decided to keep them and gave them a home. Soon the back yard was overrun with bee hives, the neighbors were starting to complain, and more importantly his wife was starting to tell him he had to do something about all the bees. He has served as Vice President and President of the Los Angeles County Beekeepers Association and currently is on the Board of Directors. His most notable contribution has been as coordinator for the LACBA annual fundraiser/bee display at the Los Angeles County Fair going on too many years to remember. He is currently serving a term as a member of the Certified Farmers Market Advisory Committee that advises CDFA on issues concerning Direct Marketing of Agricultural Products and Farmers Markets. 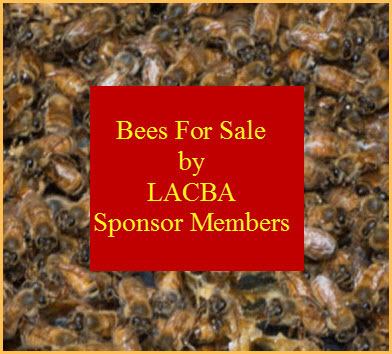 He gives back with plenty of advice and lessons learned by teaching newbees at monthly Los Angeles County Beekeepers Association bee classes. Do not buy a bunch of used equipment: You may just inherit a bad case of foul brood. Do not spend a lot of $ on an untested solution to varroa and always go back and test for mites to see if your plan for surviving with mites is working: $5000 worth of Russian bees and queens that did not make it through the winter. What to do when your truck breaks down with a full load of bees: Blown water pump on the International flatbed truck with a full load of hives. Fortunately only 1/4 mile from the top of the grade and was able to limp to the top before all the coolant ran out of the engine. From there a 3 mile coast with no power steering and limited amount of air for the brakes. 2 right turns another 1/4 mile and a left turn into the driveway close enough to unload the bees and run them to the drop location with the forklift. Then call your wife at 1am to come and get you, a 2 hour drive from home. Have a plan in place for a flat tire: Blown tire at about midnight on a Sunday night with a full truck load of bees and still a 3 hour drive ahead of you. Always securely tie down your load even if you are only going 100 yds. so a 3000 lb. tote of sugar syrup does not fall off your truck, split open, and flow down hill through the back door of your partner’s house and into his wife’s kitchen. Beekeeping keeps Clyde Steese young. Stubbornness and persistence are virtues." For the past five years, Bill's Bees has hosted theLos Angeles Beekeepers Association Beekeeping Class 101. This year we had over 100 newbees up on the mountain top of Bill's Bees Bee Farm to learn about beekeeping. We teach responsible beekeeping for an urban environment adhering to Best Management Practices for the benefit of all: humans, animals, beekeepers, and bees. 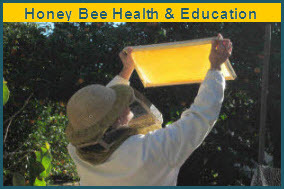 Clyde is a member of the American Beekeeping Federation and the California State Beekeepers Association. He serves on the California State Certified Farmers Market Advisory Committee. Clyde’s love of travel takes him around the world meeting beekeeperstwenty-five years of service.